Every website we build is based on mobile responsive website design. In today’s mobile world the majority of visitors to your website will be on a tablet or smartphone with less than 45% of users now actually visiting on a laptop or desktop computer. If your website is not fully mobile responsive, visitors will be in for a frustrating experience and will quickly lose interest in viewing your website and the message you wish to deliver to existing and new customers. How is mobile responsive website design achieved? By being built into the web design frameworks so that it can initiate large-scale changes to the format and design on the fly. It takes sophisticated frameworks design to be truly mobile responsive; it is dramatic and effective. To see how this mobile-responsive design works on your current device, try it on the website you are on right now. If you are on a desktop grab the right corner of your browser window and start shrinking your webpage, watch how the site re-formats itself on the fly to fit your window size. Look at it on an iPhone or Android phone; it will look different yet proper on any device. This is not just shrinking the website; this is on the fly re-design of the entire website in real-time. We consider responsive design to be a core foundation necessary to achieve best Canadian website design principles. 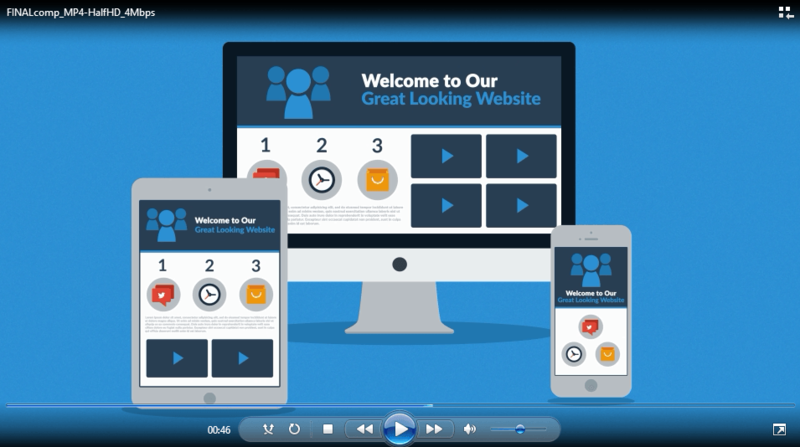 If your website does not look good on a potential customer’s device of choice, they will not come back to your site. Clients are not going to wrestle with their device just to look at your website, this is why every design we make is fully mobile-responsive. Join our mailing list to receive the latest Website & SEO news and updates from our team.